Pop experimentalists I Start Counting favored English artiness with a sense of fun. Unlike many other electronic groups from the '80s, I Start Counting never settled into a single formula; the band continued to tinker with its sound, shifting effortlessly from light to dark, accessible to avant-garde. 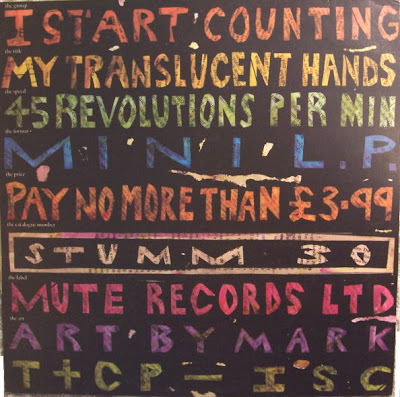 I Start Counting was formed in the early '80s by David Baker and Simon Leonard. 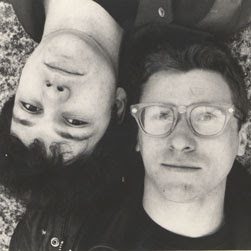 In 1984, the duo was signed by Mute and released its debut single, the quirky "Letters to a Friend". "Letters to a Friend" easily distinguished itself from the glut of synthesizer-laden records from the mid-'80s with Baker's distinctly British talk-sing style and the psychedelic feel of the keyboards. The follow-up, 1985's "Still Smiling", was hailed as another instant classic from the band. This single release emerged in April 1985. "Slight but sweet, delicate intelligent electro-pop with melody and depth," They managed to produce the mini-LP Translucent Hands by the end of 1986. The final single to be taken from "Translucent Hands" was a rigorous rework of 'Lose Him', which appeared a year later, in January 1988, and featured samples from the legendary rubber movie Bound In Latex, as well as sampled cameos from Cary Grant and Tony Hancock. Typically contrary, "Million Headed Monster" was the next single, in May 1989. Backed with "Listen" the former's pop thrills contrasted with the more experimental sounds of the latter. A final, full length LP 'Fused' appeared in June 1989, and provided an innovative blast of avant gard House contrasted with ambient soundtracks and a perfect pop palette blended in-between. "What we try to achieve is changing all the time because what we enjoy is listening to changes. Usually, if we've just done a pop song we want something different for the next one. It would be more commercially sensible to stick to one thing and decide we were going to be completely electropop or a dance band or completely weird, but I think we'd just get bored if we did that." In fact, the duo were about to undergo a rigorous change of identity. The name I Start Counting was laid to rest, and Barker and Leonard chose another, Fortran 5, with which to continue their musical explorations. Better late than never! I did not expect to find anyone else remebering this band.